Do you remember the first time you saw a bald eagle in the wild? I was in grade school when I saw my first, soaring high above the Dale, Oklahoma, river bottom just off State Highway 102 and Interstate 40 not far from Shawnee Twin Lakes. There must have been nearly 40 cars pulled off along the sides of Highway 102, and all their occupants were out of their cars pointing up, some cheering and waving while others were moved to tears. I will never forget how I felt standing there under the glare of the warm summer sun as the eagle soared wide, easy circles above us before disappearing out of our sight. The energy that filled the air, seeing such a rare sight, was magical. 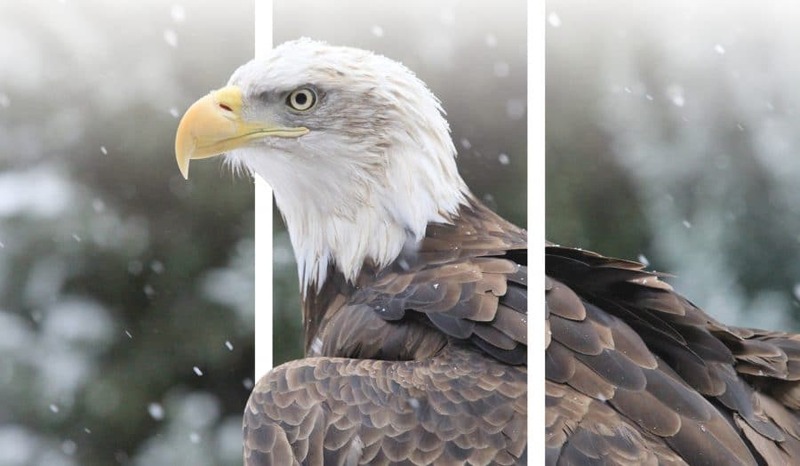 The Citizen Potawatomi Nation Eagle Aviary celebrates National Save the Eagles Day January 10. At the Kaw Lake Eagle Watch near Ponca City this past January, visitors counted more eagles in one day than I had ever seen in total in my life before I entered high school. Thankfully, young people today do not remember a time when bald eagle sightings would prompt a response like the one I experienced as a child. However, they could have just as easily never had the chance to see one since they were nearly extinct just fifty years ago. Habitat loss and excessive hunting combined with the widespread use of the pesticide DDT nearly wiped them out. A population of more than 75,000 bald eagles when named a national symbol in 1782 had dwindled to just 412 breeding pairs in the lower 48 states by the 1950s. Researchers eventually discovered DDT made its way into our waterways where it was absorbed by fish and other prey. While adult birds showed no signs of harm from eating contaminated prey, the buildup of the pesticide in their system caused the eagles to lay eggs so thin that they cracked under incubating parents. In 1972, the bald eagle was one of the first species to receive special protection from the newly created Environmental Protection Agency, and DDT was officially banned. Congress went on to pass the Endangered Species Act in 1973 providing them with even further protection. Regulation enforcement along with extensive habitat restoration and breeding programs yielded positive results over time. By 1995, there were nearly 4,500 bald eagles, and by Aug. 8, 2007, they were officially delisted. Today there are nearly 10,000 nesting pairs. The bald eagles’ recovery symbolizes the commitment made back in 1973 to preserve wildlife and wildlands. National Save the Eagles Day on Jan. 10 is a reminder that we can all do our part, no matter how small, to protect the eagles for future generations. Unfortunately, most of the eagles that call the CPN Aviary home are injured because of human interaction in some way. Everyday objects that seem harmless can become a lifethreatening problem for wildlife. Discarded or lost fishing line is a major problem for all wildlife around waterways. We have been called out to rescue eagles and other water birds that were tangled in the line. The harder they struggle to free themselves, the tighter the line becomes in most cases. Cutting off circulation in their feet or toes means a certain, slow death for an eagle in the wild. Fishing lures and hooks may also be ingested. Pick up any you may find when you are around waterways and dispose of them properly. We always encourage people to take an extra empty sack to pick up any trash if they are out in any wildlife area. We have helped with calls ranging from turtles tangled in the plastic six-pack rings, a white-tailed deer buck with antlers tangled in bailing twine, to osprey and eagle nests where young chicks have been injured after becoming tangled in a plastic sack or netting that somehow made its way into their nest. You are helping out wildlife in more ways than you know by simply leaving a place better than you found it. One controversial issue over the years has been lead. No one can argue that lead is a toxic metal that, in sufficient quantities, has adverse effects on the nervous and reproductive systems of mammals and birds. Found in most fishing jigs and sinkers, this metal is poisoning wildlife such as loons, geese, swans and eagles. Water birds like ducks pick up sinkers from the bottom as they would small grit and gravel for their crops, and fish do the same. A bird with lead poisoning will have physical and neurological changes ranging from disorientation, tremors or impaired ability to fly. In this state, the weakened bird is more vulnerable to predators like bald eagles. Contaminated prey means poisoned eagles. Fortunately, there are alternatives to traditional lead tackle now. We encourage fisherman to use sinkers and jigs made from nonpoisonous materials such as tin, bismuth, steel and tungsten-nickel alloy. More information on options for leadless equipment for hunters and fishers is available at huntingwithnonlead.org. Eagles, vultures and other raptors also face another lead challenge in the form of ammunition used for upland game hunting. Often hunters will field dress a deer or elk and leave behind those remains. During inclement winter weather, those scraps tend to stay fresher longer during a time when an eagle won’t pass up a free meal. The problem is that lead fragments into small pieces on impact and inevitably ends up in those discarded remains. But there is hope. There are many alternative options to lead ammunition for most caliber rifles, and some are proving to be more effective. So on Jan. 10, celebrate National Save the Eagles Day in the best way you know how. We encourage you to remember and honor that connection we have to the eagle that works as our messenger, and find a way to start a conversation in your house or community about small ways you can help them and other wildlife. 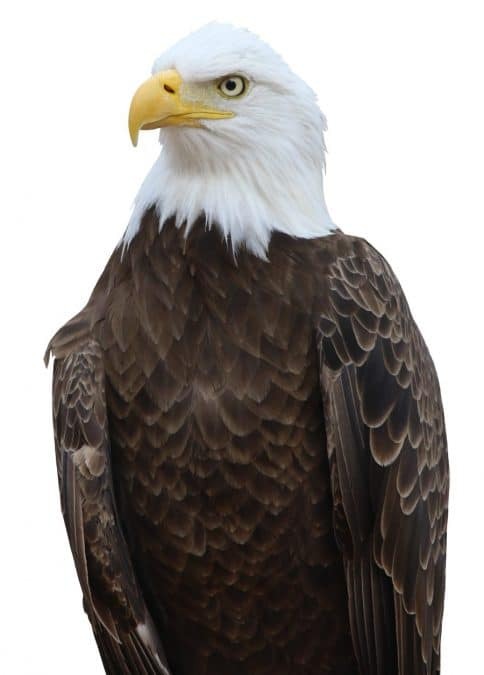 For more information about the CPN Eagle Aviary, visit potawatomiheritage.com.